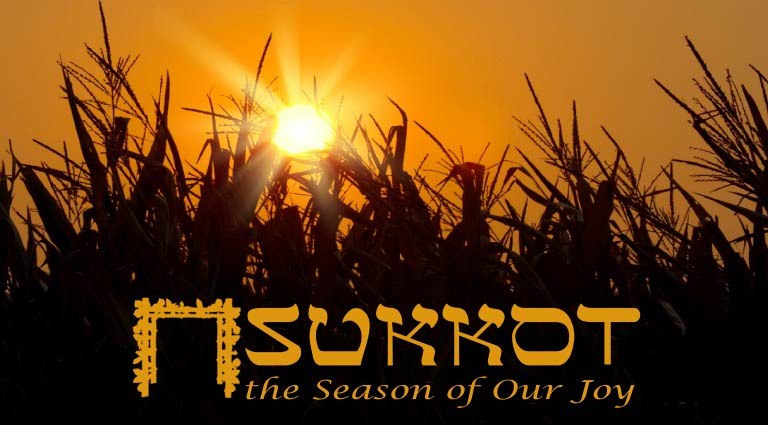 Season of Our Joy is a 'Hebrew Roots' observance of Sukkot, the Feast of Tabernacles. For eight days we praise YHVH through our actions - prayer, song and dance, Bible study, feasting and fellowship. We hear from gifted speakers who teach us the ways and walk of YHVH, our Father, and who teach us the meaning of this very special time of year referred to by the ancient Jewish sages as "the Season of Our JOY". 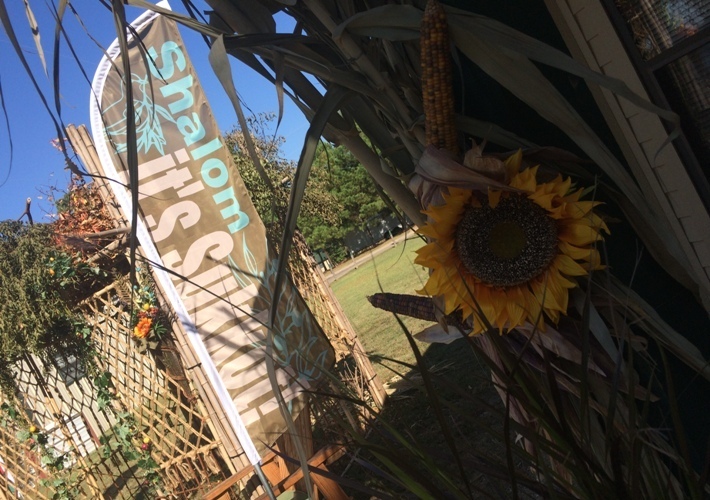 SOOJ is held at the Camp Shiloh Retreat just a few miles from Mount Pleasant in Northeast Texas. It is observed in accordance with the traditional Jewish calendar beginning Sunday evening, October 13 and continuing through October 21. For better than two centuries, the American culture included the belief in the God of the Bible, but our culture is quickly changing and the belief in a creator is no longer mainstream. As a result, our children have a much more difficult time balancing the 'anti god' rhetoric that is now commonplace with the Biblical basics they hear from parents and grandparents. 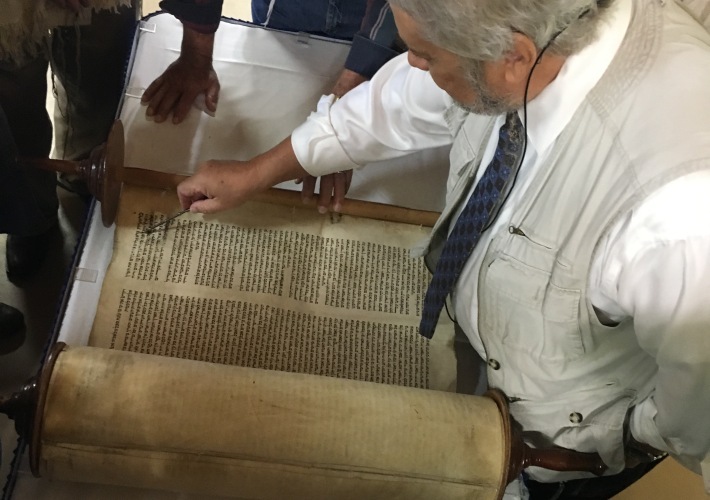 This year's festival theme "As for Me and My House" is based on Joshua's final dialogue with the elder's of Israel, at a time when Israel's culture was returning to polytheism and idolatry. Our theme focuses on the responsibility of parents, and specifically the fathers, to lead their household and teach their children about the God of Abraham so that when they grow older, they will not turn to the counterfiet gods "on the other side of the river". 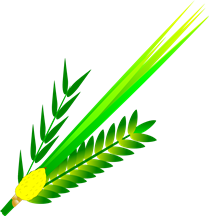 The Feast of Tabernacles is the major festival of the Hebrew fall harvest season. It pictures the Messianic Kingdom, when Yeshua (Jesus) will reign in Jerusalem and all the nations will come up to worship Him. Because it falls in the season of the final harvest, it hints of the final 'harvest' of souls when God's spirit will be poured out all mankind and they will turn to Him and walk in His ways. 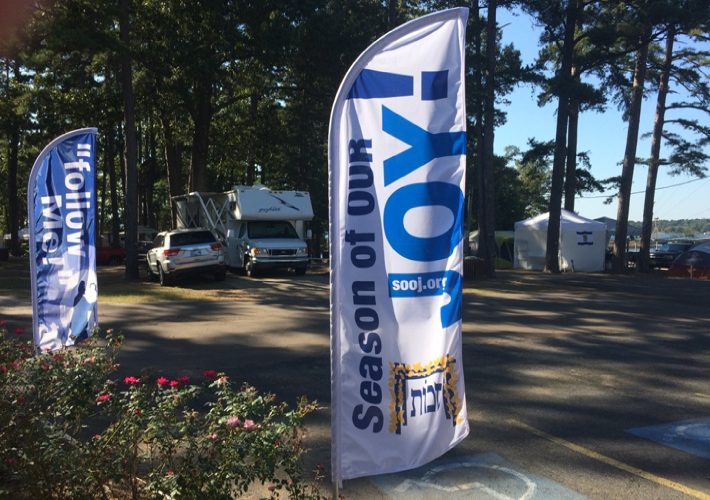 Season of Our Joy is a 'structured' festival site with daily scheduled activities including teaching sessions, praise through song and dance, family and group events and games, and late afternoon group meals. Most evenings are left 'open' for fellowship and midrash. One of the highlights of each year's festival is the re-enactment of the 1st century 'Water Pouring Ceremony' which took place in the Temple on each day of the festival. As a 'Hebrew Roots' festival site, SOOJ solicits teachers and speakers who believe and teach that 1) both the 'Old' and 'New' Testaments are applicable to today's people of God and 2) that Yeshua (Jesus) is the promised Messiah who died for the sins of His people. If you would like to speak at this year's festival, give us a call and we'll talk about it! We are Israel! (Gal. 3:29) ... and being a part of Israel means being associated with one of the twelve Israelite tribes. 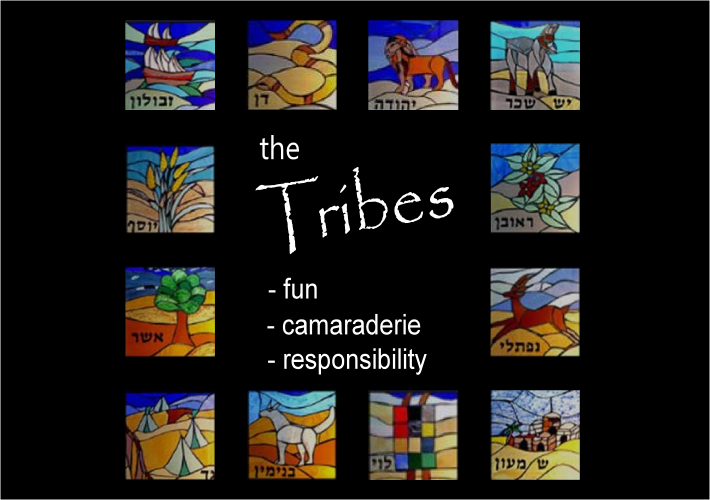 At Season of Our Joy we illustrate that point by assigning everyone a part in one of the twelve 'tribes', then grouping those tribes into 'camps'. Each 'camp' plays a part in ensuring that everyone has an opportunity to enjoy the festival by helping out with the 'chores' and through friendly competition. 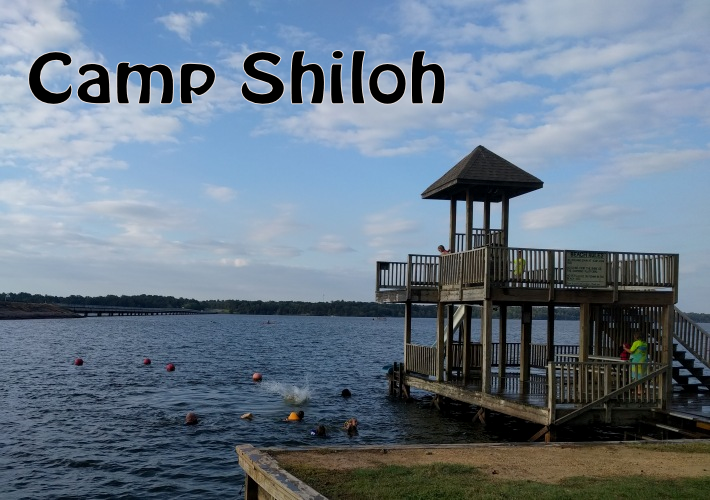 Camp Shiloh Retreat is located on a 25 acre campus overlooking beautiful Lake Bob Sandlin. It is near the picturesque towns of Mount Pleasant, Pittsburg, Winnsboro, and Mount Vernon in north-east Texas. The camp has a private entrance with only one road in and out and is well suited for our 8-day Sukkot festival. Outdoor activities at Camp Shiloh include various water activities as well as ga-ga ball, softball, and tetherball. Housing includes cabins, suites, RV spots and areas for tent camping. Secure housing through SOOJ. Go to the Housing page. Register with SOOJ online, then secure housing through SOOJ via phone (contact info is on the Housing page). but you must register to attend.